At present time free mobile recharge is very simple because there are lot of tricks and offers. 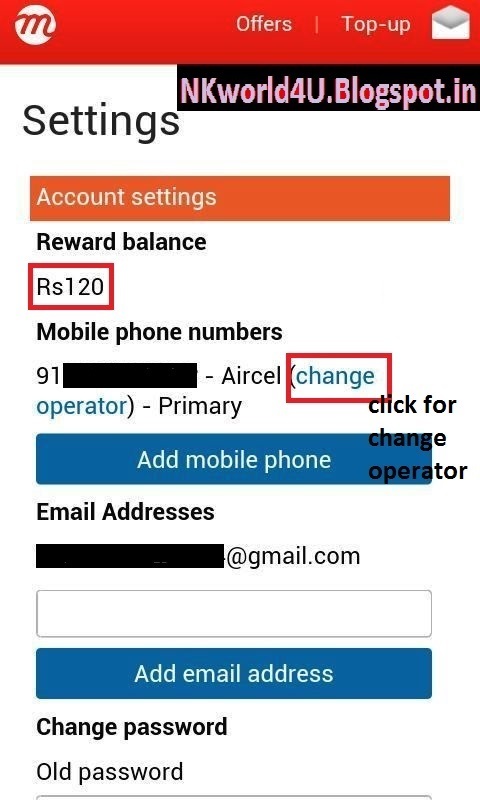 Today I am sharing how to get free mobile recharge. 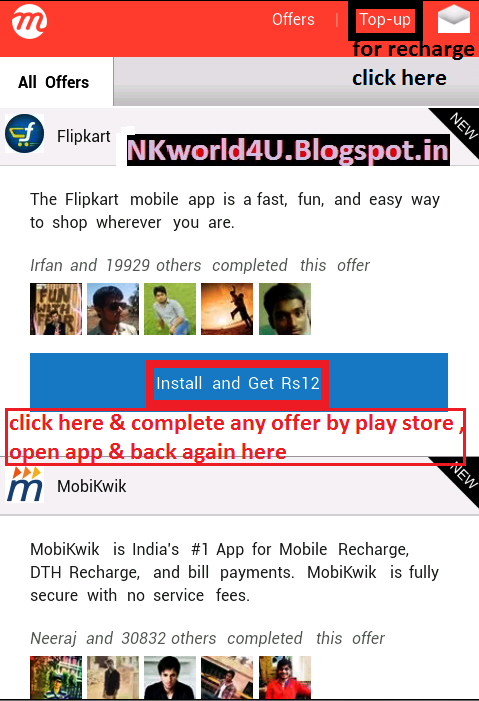 Yes, in this trick you can get free mobile recharge just by downloading android apps. So, friends if you have Wi-Fi or any high-speed Internet connectivity then it is only for you. It means you will be get mobile recharge easily. This post is based on website that's name is mcent.com. 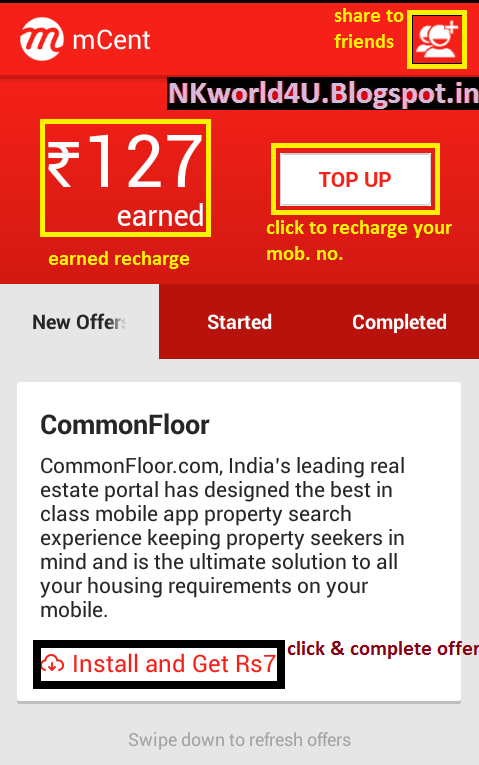 This website gives free mobile recharge when you complete any offer. Offer Rs. Is already fixed. So complete more and more offer and earn more recharge. You can also earn more just by sharing your referral link to your friends by any methods like: Facebook, whatsApp etc… after joining mcent. 2. Now enter your mobile number and press Join Now. After this, confirm code that you are received on your mobile and press Continue. 3. Full fill some fields then press Last Step. At last fill the password & email then press Finish. 5. After installing, open app and us it at list 30 seconds. NOTE: before Doing recharge, if your mobile number is ported so first of all you have to change your mobile number operator in the mcent settings. 2. After downloading, install it. 4. Now follow same of the above steps for complete the offers. Like: Download, install app and complete offer.